I am a big fan of going places, exploring, discovering, taking trips, traveling… You name it. Long commute never stays on my way for a new adventures. I’m ready to go no matter how far away my desired destination is. However, there are days when being stuck in traffic doesn’t look appealing at all (405 freeway can literally drain all energy out of you). 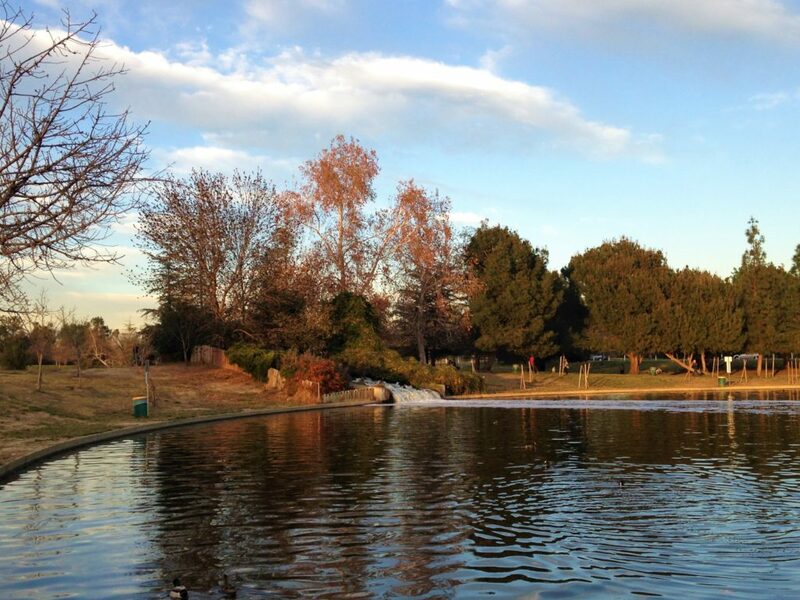 Luckily, there are plenty of things to do in San Fernando Valley. This Los Angeles neighborhood is home to world-famous Universal Studios and not less popular Hollywood Walk of Fame. Hiking enthusiast find Runyon Canyon with its sometimes steep trails one of the best places in San Fernando Valley. 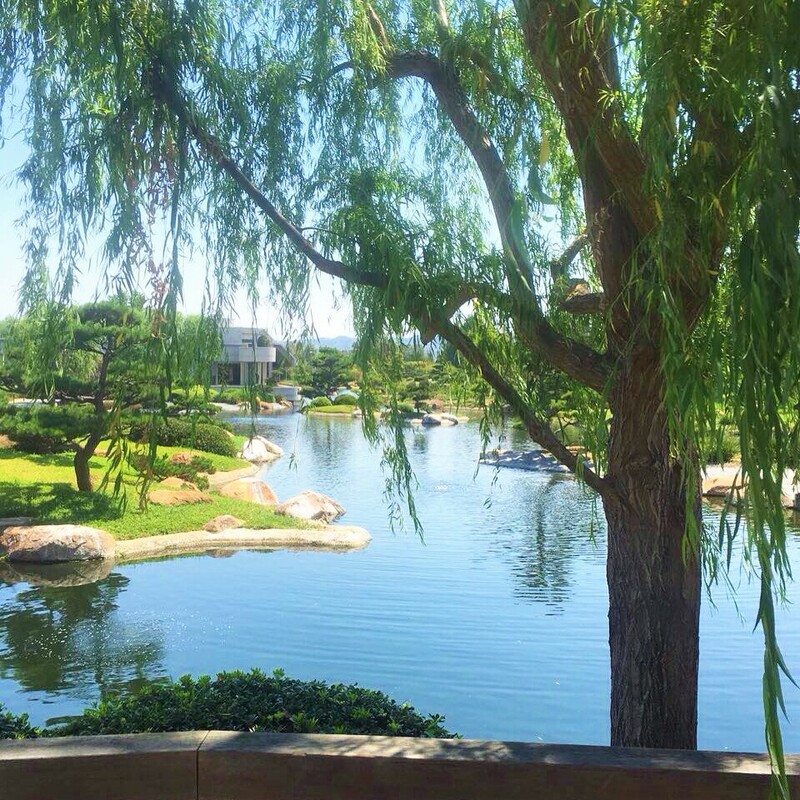 Last weekend, our choice fell on a small, but very pretty and charming Japanese Garden in the neighborhood of San Fernando Valley. But first, a short stop at a part nearby. Packed with a blanket and food, we headed out to our destination in this part of Los Angeles. San Fernando has a few parks that are very popular among locals. In fact, we favor Lake Balboa Park over other public areas in this Los Angeles neighborhood. However, we deliberately decided to pass on Lake Balboa Park, which can be pretty busy on weekends. Instead, less crowded Woodley Park became our first stop in the valley. Lake Balboa Park as well as Woodley Park are two sections of 2,000-acre Sepulveda Basin Recreation Area, which deserves some recognition on its own. Where else in San Fernando Valley can you find archery with free beginner classes (no equipment needed, you can borrow everything there for free), cricket fields, golf courses and tennis courts, off-leash dog park, the Japanese Garden, place to fly your model airplane, rent a boat, bike, or surrey in one place? The Sepulveda Basin Recreation Area has it all. Tis Los Angeles neighborhood is indeed a great place to spend time with friends or family, work out in the nature, or simply take a nice stroll around the lake. We chose the far end of Woodley Park near Archery Range where we feasted on our lunch, talked, and watched YouTube videos on our iPhones. (Yes, we needed our phones even in such cool place in San Fernando Valley. Where did that time go when reading books was one of people’s favorite pastimes?) 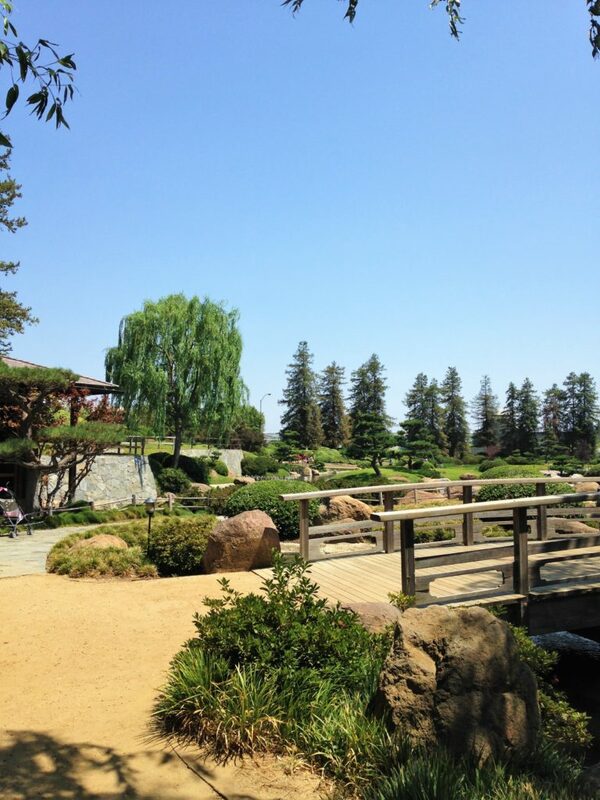 But enough about it and let’s go to explore the Japanese Garden. 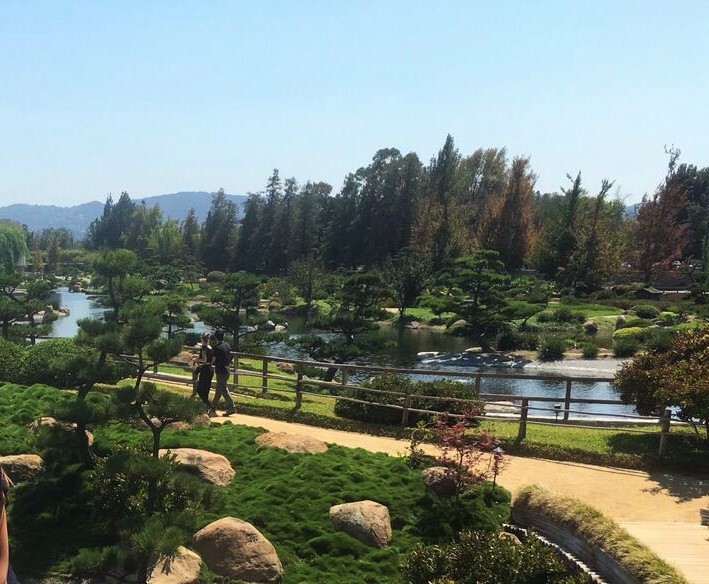 Nestled in the heart of the San Fernando Valley, this 6.5 acre beautiful Japanese Garden known as Suiho-en, “Garden of Water and Fragrance”, combines traditional Japanese garden principles with the local environment. 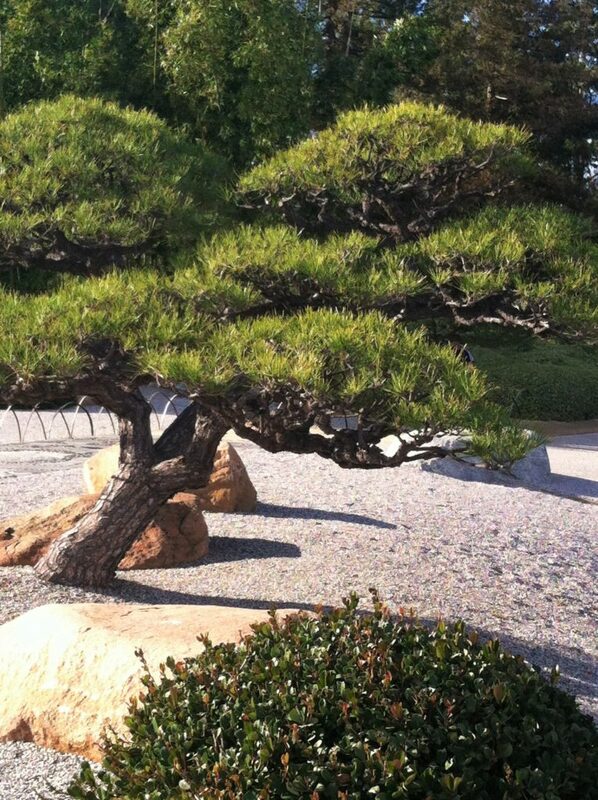 The garden consists of three parts: Dry Zen meditation Garden, Water Garden, and Tea Garden. True to the Japanese culture, each element of the garden represents some divine qualities or objects. Tortoise Island in the Dry Garden is a symbol of longevity. Waterfall’s three levels symbolize heaven, earth, and man. Weeping Willow Tree represents a kind, loving, bending female. The opposite of the Weeping Willow, Black Pine, is a symbol of a warlike, strong, unbending male. 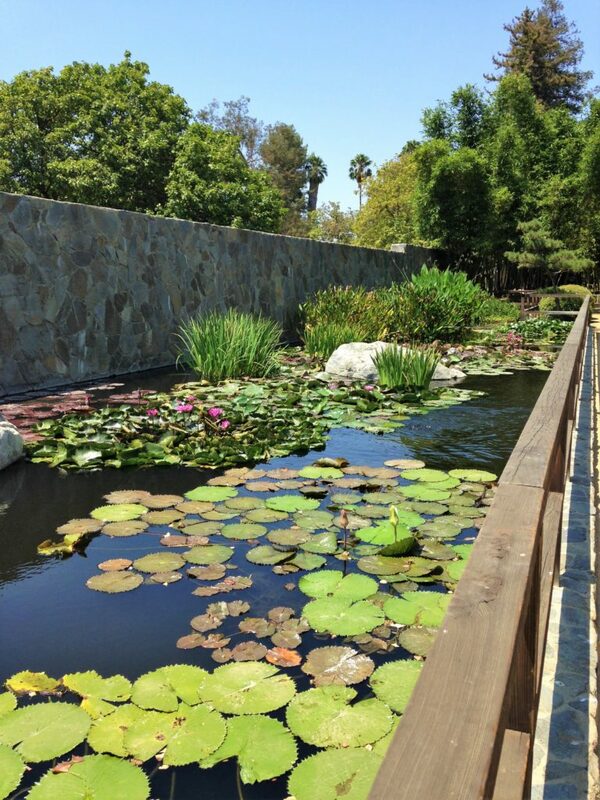 The Water Garden is absolutely beautiful during summer months when water lilies and lotus flower, the symbols of enlightenment, are in full bloom. 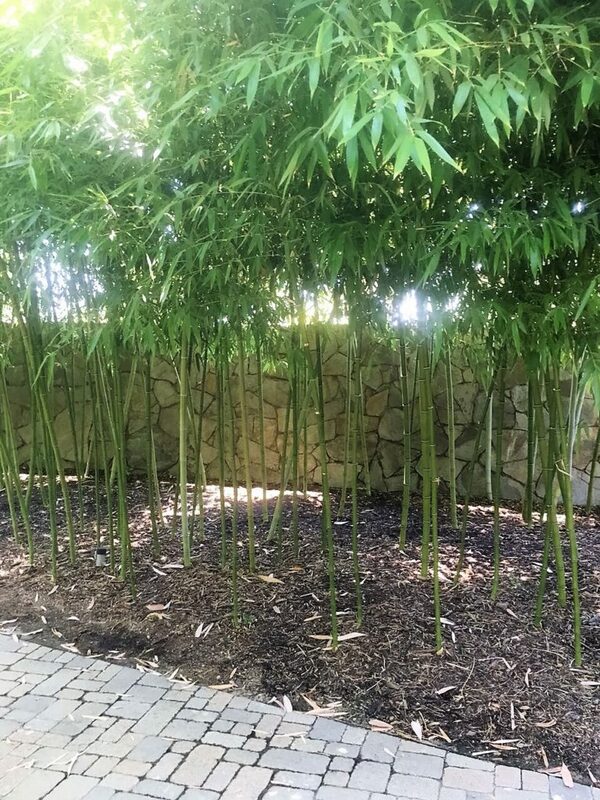 You will see many bamboo spouts and water basin in the Tea Garden, which according to the Japanese traditions, are meant for guests to purify themselves before entering the Teahouse. And you definitely don’t want to miss Heavenly Floating Bridge. According to Japanese creation myth, it lies between the heaven and the earth. 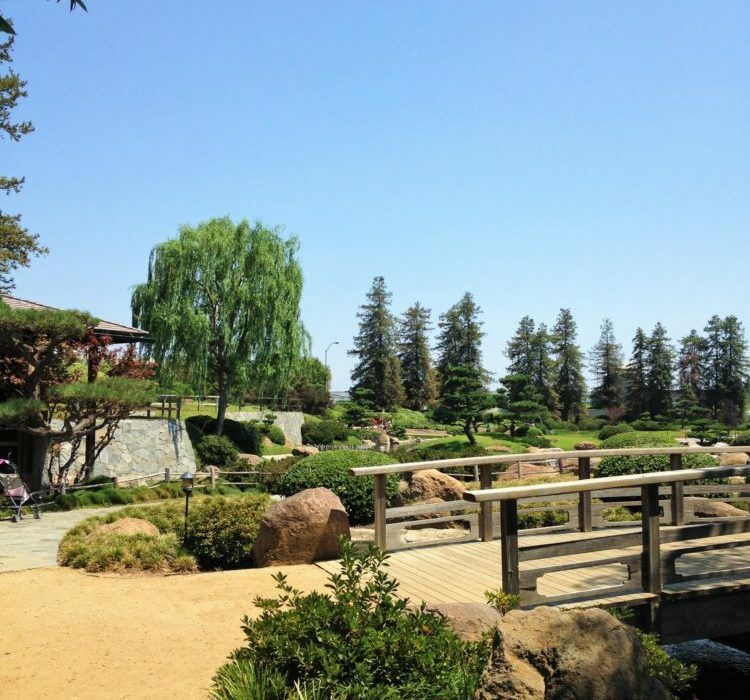 Main mission of the Japanese Garden in San Fernando Valley is, though, to teach the visitors about importance of reuse and recycling of the water. All water used here comes from reclaimed wastewater. Not bad for such a small gem in this Los Angeles neighborhood! I’m from LA but haven’t explored the San Fernando Valley much yet! 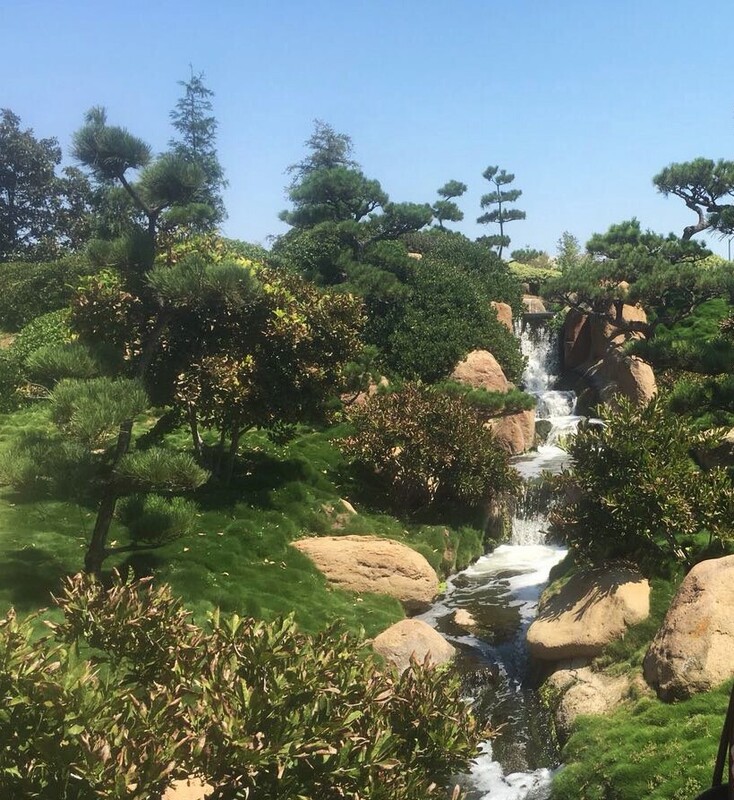 Thanks for sharing this Japanese garden, it looks amazing, I really want to visit. Love your pics! It is a very beautiful place. I am sure you will have good time there. Check their website before going because they might be closed due to holidays or weather conditions. What a wonderful picture of soothing landscapes. It would be great to see the most magnificent and incredibly beautiful place. The park is really awesome and I would like to spend there some time.